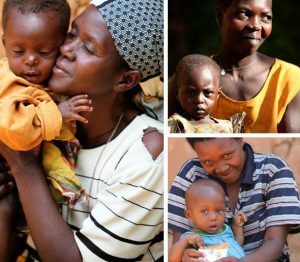 Home » Updates >> 40,000 Malnourished Kids Helped To Date! 40,000 Malnourished Kids Helped To Date! Would you like to meet a child that has benefited from our RUTF? 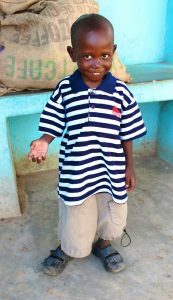 This is Obama, a young boy from Kisumu, Kenya who was met back in September 2013 at a ministry clinic where he was malnourished and nursing a machete wound to his head. 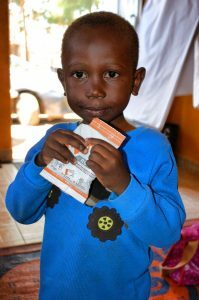 He was a five year old who looked like a toddler due to malnutrition. The clinic started feeding Obama MANA RUTF and one year later, you can see the impact it has had!